At the start of November I began suffering from daily pain in my head. On the worst days, I could not tolerate standing upright. On other days I functioned with round-the-clock pain relievers and occasional anti-nausea medicine. Three doctors attempted diagnoses. As of late-December, my symptoms are less constant, but I am still seeking answers. Through it all, the image of a grain of sand repeats in my imagination. Spending so much time outside of my usual routine, I’ve had ample time for self-reflection. This episode of suffering quite literally forced me to stop and to take a deeper look inside myself. In doing so, I’ve come to recognize how often I’ve desired to be more than a simple grain among many. Over the last few years. I’ve tried in earnest to reach further, do more, and get noticed with my writing and speaking. As a family business owner, I’ve worked to increase our customer base and set our restaurant apart from the competition. While those things aren’t bad, this period of introspection led me to consider that God may desire for me to be like the grain of sand — small, docile and satisfied to be one-among-many. Increasing the audience for my writing, booking more speaking engagements and promoting our restaurant, all seemed to me to be laudable goals. In achieving them, I could have promoted the faith and assisted my husband. But, then again, I have much to accomplish here at home, too, in my duties as wife, mother and teacher. Lying on my bed, I thought about how God uses each tiny grain. With it He provides a cover for the shoreline, smooths rough edges, and fills in gaps. Of course, a single grain of sand could not accomplish any of those feats. It is only when combined with countless other sand grains that God most often works His every day wonders. I imagined that a humble, Mexican convert hadn’t aspired to build the Basilica of Guadalupe. 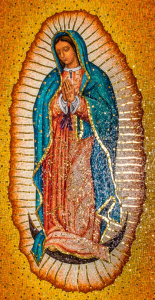 Juan Diego wasn’t drawing up blueprints for a new church when Our Lady appeared to him in December of 1531. 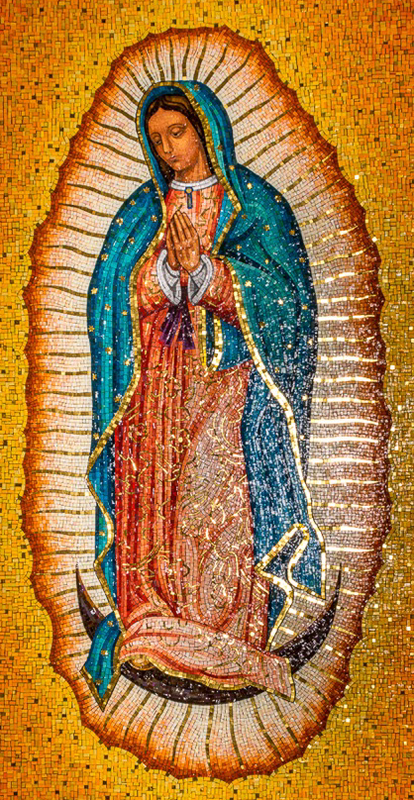 St. Juan Diego (as we know him now) simply followed orders and in so doing He allowed God to shape the faith of a country. For that matter, the beautiful Lady who appeared to Juan Diego wasn’t planning to bill herself as the Queen of Heaven and Earth when an angel visited her as a young, betrothed girl. She just answered yes and left the rest up to her Heavenly Father. Like grains of sand sifting through God’s hands, a simple, pious man and an obscure, faithful girl consented without limitations. They were small, docile and satisfied to be counted among the masses. It was only through hindsight that they’d see the miraculous wonders produced through their obedience. 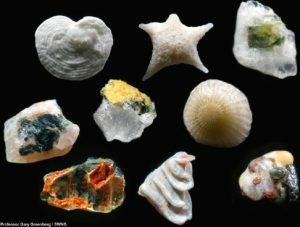 And as crucial as the role is of the communion of many, the individual grain of sand is magnificent in its own right. With the right equipment, we discover that each grain is unique and beautiful. Though the Creator could have simply fashioned them to be functional, He didn’t stop there. Microscopic images reveal the remarkable details of every grain. 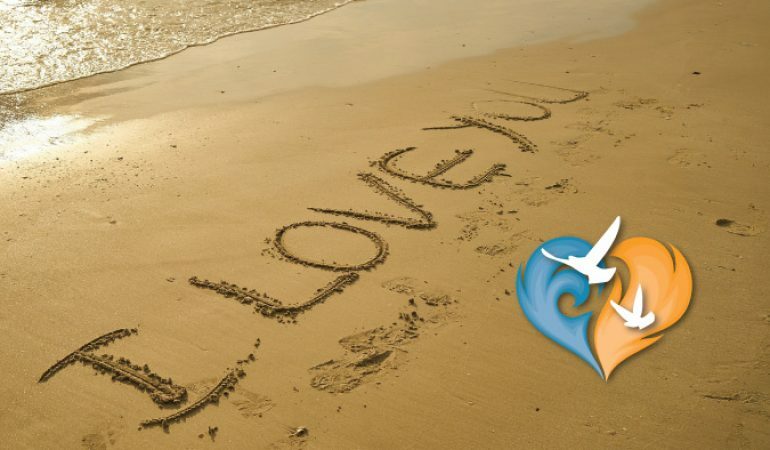 For my part, this period of trial caused me to recognize that God sees me, really sees me. Because, of course, Who better than the One Who formed me knows my talents and the broader story into which they fit? So, He doesn’t need me to be a boulder or a rock (or a prolific writer, famous speaker, well-known restaurant owner, etc.) He needs me to be the small grain of sand, who allows Him to deposit me here or there according to His Will. 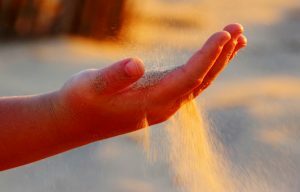 Today, Lord, help me to be the grain of sand.